A man locks a pilot out of his cockpit and runs a plane into the side of a European mountain, killing everyone on board. If we were to hear this story and know nothing about him, what would we immediately assume? Probably that he is a terrorist, given what we are constantly told in this post 9/11 world. After all, what other description could there be for someone who kills himself, alongside hundreds of innocent passengers? Evidentially, it would seem that description, and the presumption of innocence or guilt depends on the race, colour or faith of the individual involved. Terrorism by definition is the unauthorised use of violence, fear and intimidation for political, ideological or social reasons. It could be argued that in the case of the Germanwings' co-pilot, Andreas Lubitz, the cause was unknown and to call him a terrorist would be presumptuous. However, it is safe to assume that if he were a Muslim or even vaguely foreign, not a Caucasian man, he would not have had the luxury of having his story told in an effort to find "a reason". He would have likely been simply labelled a terrorist. Anders Breivik, the man who massacred 69 children in Norway in 2011 for political and ideological reasons, was largely referred to as a "mass killer". Closer to home, a 22-year-old man was arrested in Sydney earlier this year after a homemade bomb was found in his house. The bomb was found to contain shrapnel, ball bearings and fishing sinkers. It had the potential to be catastrophic. Is it any wonder Muslims feel like we are being told we do not belong? However, the man in question, Harry Turnbull, was not labelled a terrorist. In fact, you probably haven't heard about him at all. The police went to lengths to assure the public this was being investigated as a one-off incident as "there were no threats made and no person was put at risk." Compare that to the raids late last year in Sydney on several Muslim houses. The media coverage was extensive and the only outcome was the seizure of a plastic, foreign looking sword. This must not become about framing conversations through an "us" versus "them" lens. This is about highlighting the obvious difference in the way acts of violence are reported and discussed. For as long as I can remember, discussions about people who look like me, share similar sounding "foreign" names or who believe in something different to the mainstream, are framed in a manner that assumes guilt by association. There is the subtle suggestion that "these people are different" and that we do not belong. It is incredibly important to remember the effects of language, particularly on young people growing up in the West. Muslims who commit violence are not given the luxury of the benefit of the doubt, or even having their story told to "find a reason." They are not humanised, and the photos used of them are never while they are out for a run or visiting a tourist destination. The same bias and presumption of guilt can be seen in the treatment of our Indigenous population and in the United States' treatment of African Americans. If we are truly interested in tackling these issues, we must apply the concept of "innocent until proven guilty" to all, regardless of colour, race or religion. We would do well to remember that mental illness affects indiscriminately, that violence is perpetrated for many unfathomable reasons and that just because someone looks different, it does not mean their story should not be told. Like the families of those who lost loved ones in this awful crash, we will only begin healing our rifts once we move past the fear of what we do not yet know. 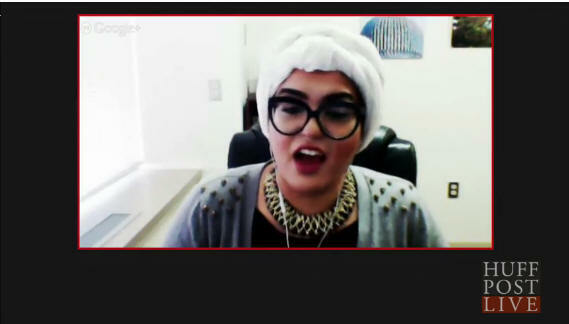 Yassmin Abdel-Magied is a mechanical engineer and founder of Youth without borders. 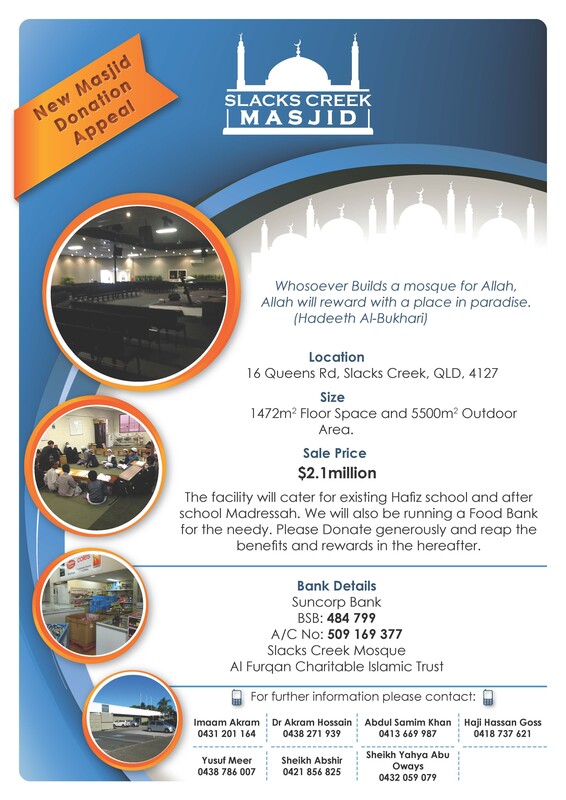 THE finances of Queensland�s largest Islamic school are under the microscope amid allegations of thousands of dollars of �phantom debt�� and secret payments to the former chairman of the board. 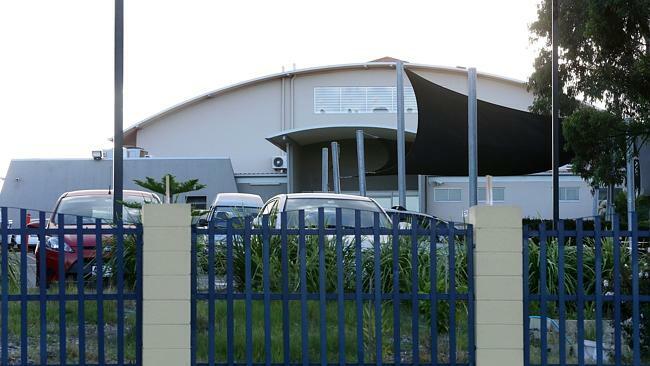 The Courier-Mail can reveal the Karawatha-based Islamic College of Brisbane is under investigation after two critical audits in recent months. 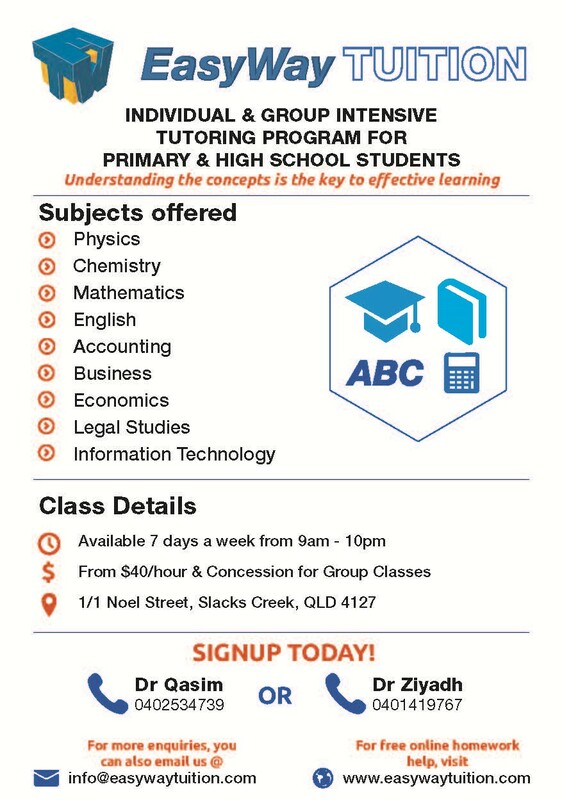 One triggered a show-cause notice from the state government Non-State Schools Accreditation Board, which has moved to ensure the school�s board �complies with registration and accreditation requirements�. 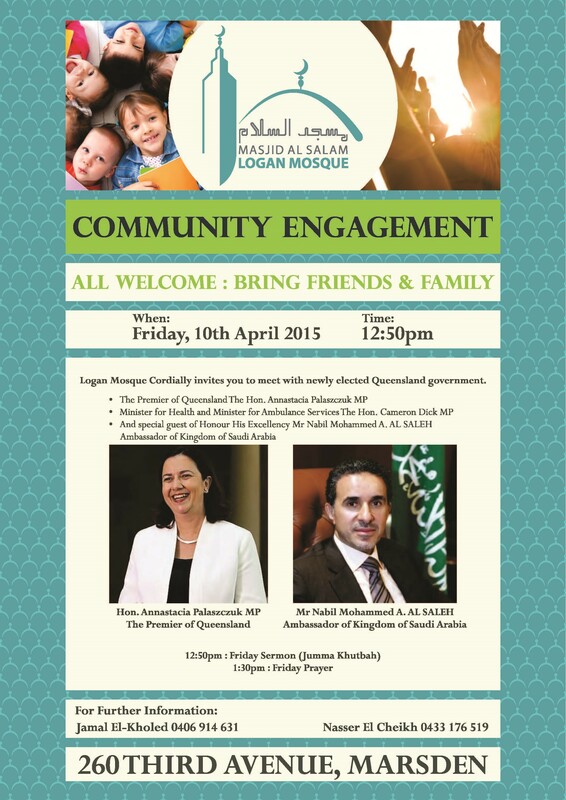 The notice relates to governance issues surrounding the board�s relationship with the nation�s peak Muslim body, the Sydney-based Australian Federation of Islamic Councils, which owns the school�s land and has representation on the school�s board. Of interest is a so-called paper debt of more than $650,000 that sparked a long-running dispute between AFIC and the college, resulting in six college board members, and the long-serving principal, either being sacked or resigning. According to financial statements obtained by The Courier-Mail, AFIC claims it is owed $1,920,243 by the college � which argues the amount should be $1,251,203. 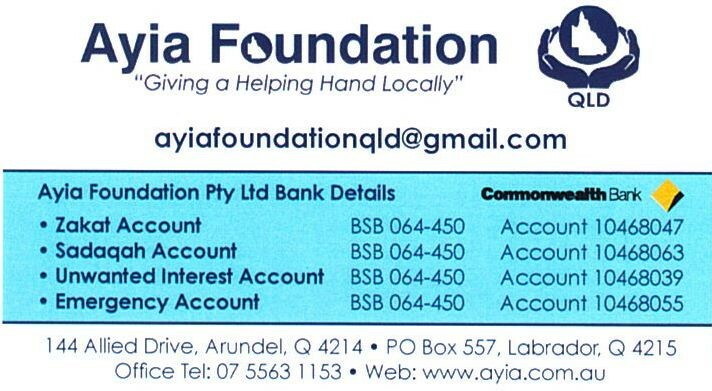 The Courier-Mail can also reveal the college�s board was so concerned about the school�s finances that it ordered its own separate audit, which showed former chairman of the board Mohammed Yusuf was paid more than $105,000 over four years � despite being in an �honorary position�. Mr Sabdia said the payments to Mr Yusuf dated back to April 2010, but only came to light at a board of directors� meeting in 2012 which subsequently approved them retrospectively despite not having �any provisions to do so�. �In my opinion therefore the payments to Br Mohamed Yusuf were in contravention of the provision of the Constitution of the ICB,� Mr Sabdia said. Independent legal advice received by the college said �Mr Yusuf seems to be prima facie in breach of the ICB constitution�. But Mr Yusuf rejected any suggestion of wrongdoing. �It was not a payment to me as a director. I was supervising all the building projects, which was over and above my duty on the board,� he said. Mr Yusuf said he was aware of NSSAB�s audit, and had also met with Federal Government officials �where everything was explained to them�. 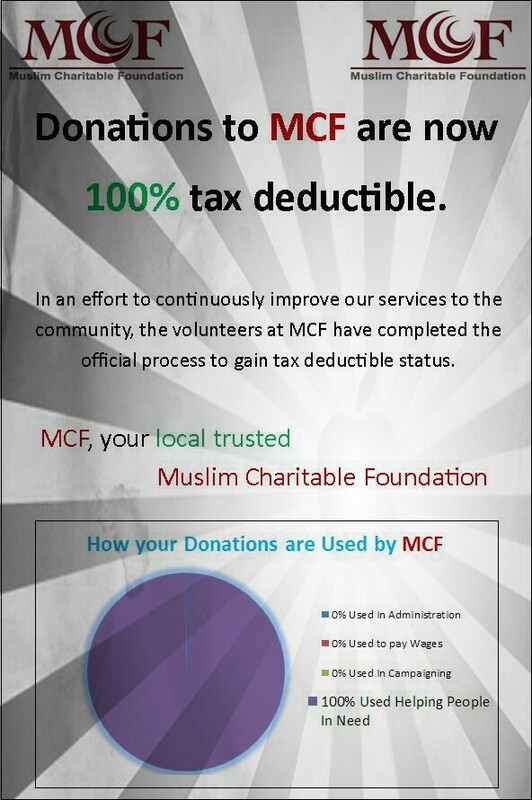 A spokeswoman said AFIC �did not have time�� to respond to questions. 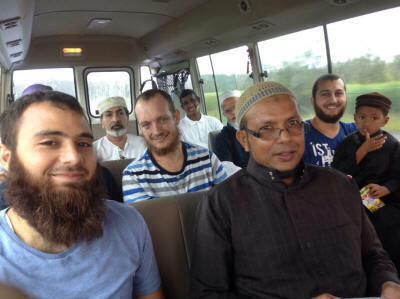 A bus load of Brisbane-based volunteers of the Slackscreek Mosque head out to the Gold Coast Mosque to help out with the fund raising drive. 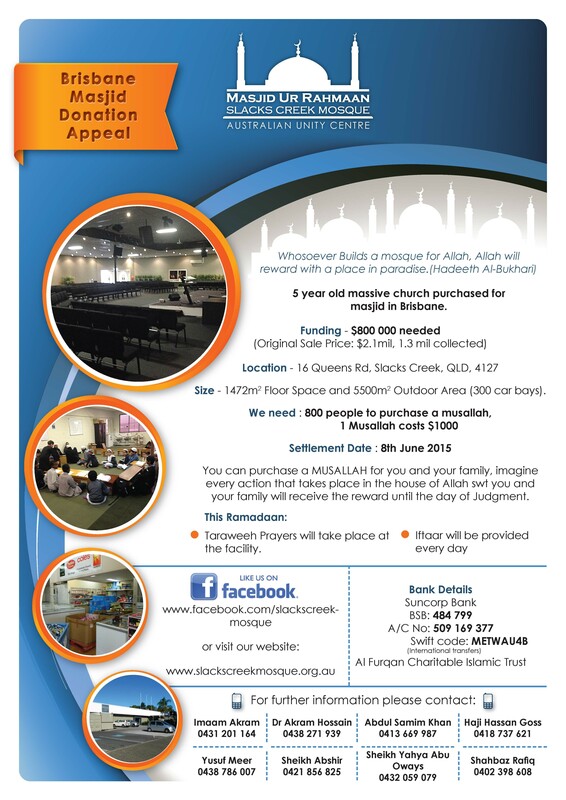 The collection at the Gold Coast Mosque on Friday 3 April raised $50,000 making it an impressive $1.6M towards the target of $2.2M and the 8 June settlement date. Tony Abbott says Australians want local industries to grow and exporting halal-certified goods to Muslim countries is part of that. The prime minister believes Australians want to see certified agricultural businesses thrive by being able to export produce to Muslim countries. "If we want our exports to grow all the time, this is what we need to do and I think that's what Australians want," Mr Abbott told reporters in Hobart following a visit to a halal-certified meat supplier on Monday. That view isn't shared by some of his fellow Liberals, including Senator Cory Bernardi who wants a parliamentary inquiry into what he claims is a "racket". He wants to clarify whether funds from the certification process were being funnelled into extremist organisations as had been the case overseas, he said. 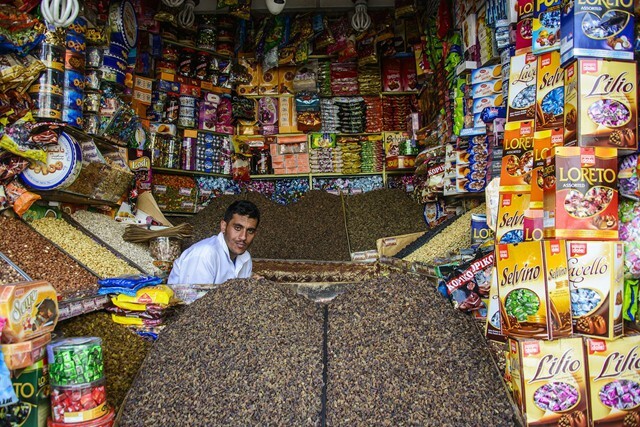 Processors pay Islamic organisations to certify that foods are prepared according to Islamic law. The issue is becoming more important as Australia seeks to kick-start talks on a free trade deal with the Gulf states, as well as boost exports to Asia. Nationals MP George Christensen and independent senator Jacqui Lambie have also raised concerns, while a petition before parliament urges politicians to ban the practice. A petition launched by the Sunshine Coast Safe Communities to change the planning laws in Queensland strikes a new level of ignorance and intolerance. The petition asks the State Government to change the definition of �place of worship� under the Sustainable Planning Act. The petition proposes changing the definition of �place of worship to exclude any group or member of a group that commits an illegal act. The Queensland LNP Member for Buderim, Steve Dickson has agreed to present this petition to State Parliament. The listed activities that would exclude a place from being considered a �place of worship� are already illegal in Australia and we already have adequate laws to protect us from those activities no matter who the perpetrator is. We have a range of Federal mechanisms that allow the Federal Government to list a terrorist organisation. Restricting places of worship does not strengthen these laws or improve the capacity of our intelligence agencies to counter extremism. Ensuring that there are close ties between the community and our police and intelligence agencies, founded in mutual respect, is essential to our nation�s security. Ignorance and intolerance is more dangerous in our society than the prospect of a place of worship being built in our suburbs. In my electorate of Moreton we have many places of worship, including Christian churches and mosques. The Member for Buderim should know better than to promote this ignorance and division by giving it a level of credibility it does not deserve. The Queensland Multicultural Awards (QMAs) are the state�s premier multicultural awards. The awards promote the benefits of a multicultural community by celebrating the work and volunteering efforts of individuals and businesses that develop cohesive and respectful communities. Nominations for the QMAs opened at 9am on Monday 16 March 2015. 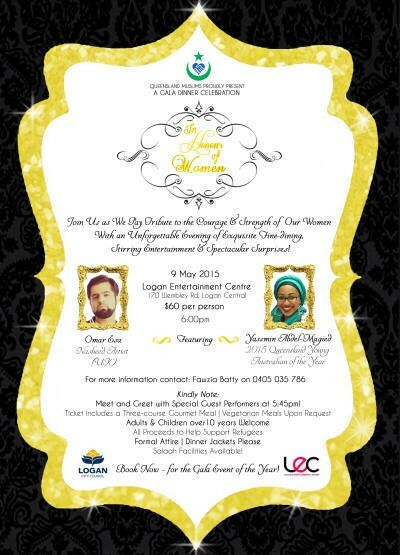 Nominations close at 5pm on Friday 24 April 2015. This category recognises community organisations and public sector agencies that have demonstrated excellence in the delivery of an innovative initiative that helps shape Queensland as a state with a multicultural future for all and nobody is left behind. This category recognises businesses that maximise and promote the benefits of Queensland�s multicultural population and support the economic independence of culturally diverse Queenslanders. This category recognises innovative education, training and language independence initiatives which maximise opportunities for multicultural Queenslanders to participate in the state�s emerging economy and vibrant community. This category recognises an individual who has demonstrated an outstanding commitment to supporting and promoting multiculturalism and community harmony through volunteering. This category recognises an individual or a media/communications initiative that enhances community connections and positively promotes our state�s rich multicultural society and its benefits. This category recognises an exceptional individual who has made a significant contribution to supporting and promoting multiculturalism and community harmony over a sustained period of time with positive outcomes. All nominees in all categories will be considered for the Minister�s award. The Minister will have the opportunity to choose an outstanding nominee to receive the Minister�s award for Multiculturalism in Queensland. To find out how to nominate click here. 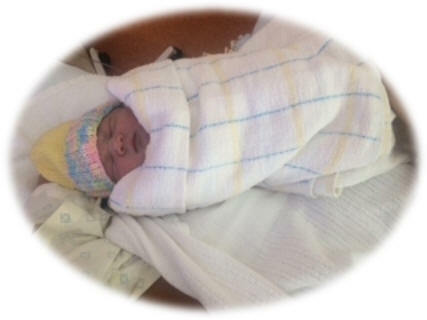 Kamal, eldest son of Hussin and Rashida Goss, and Ruqayya Goss welcome a new baby girl to the family. Students from Holroyd High share their stories of resilience, their aspirations and their triumphs. 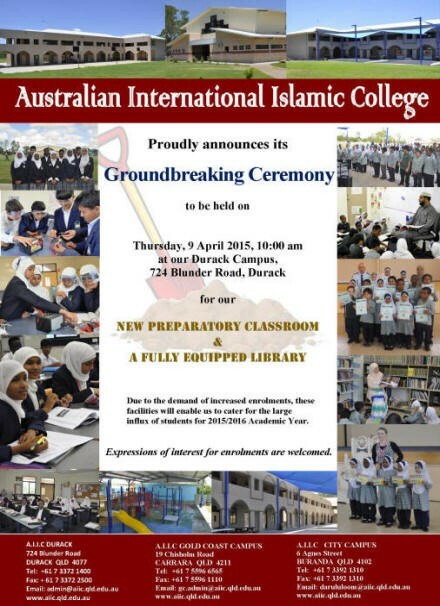 How does a school like Holroyd prepare these kids for a new life in Australia? 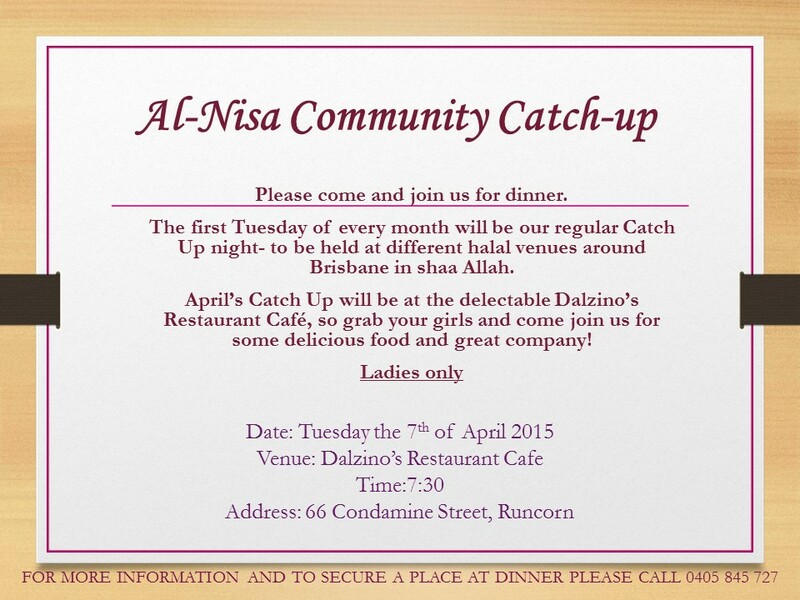 Hosted by Jenny Brockie. Palestinian Arts, Culture & Sport Inc (PACSI) are presenting another film event. 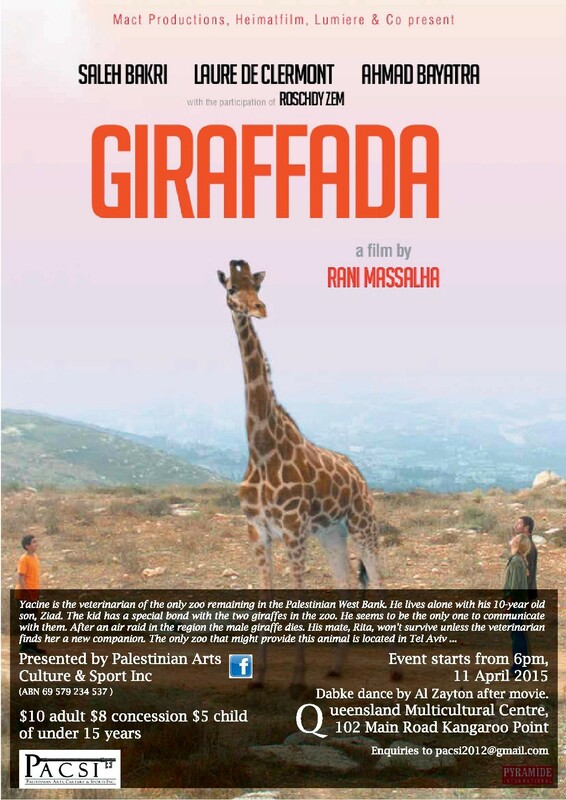 It is a screening of the Palestinian film "Giraffada" and also will include Palestinian displays, olive oil and zaatar tasting, Palestinian products for sale and a display of traditional Palestinian dance by the Al Zayton dance ensemble. 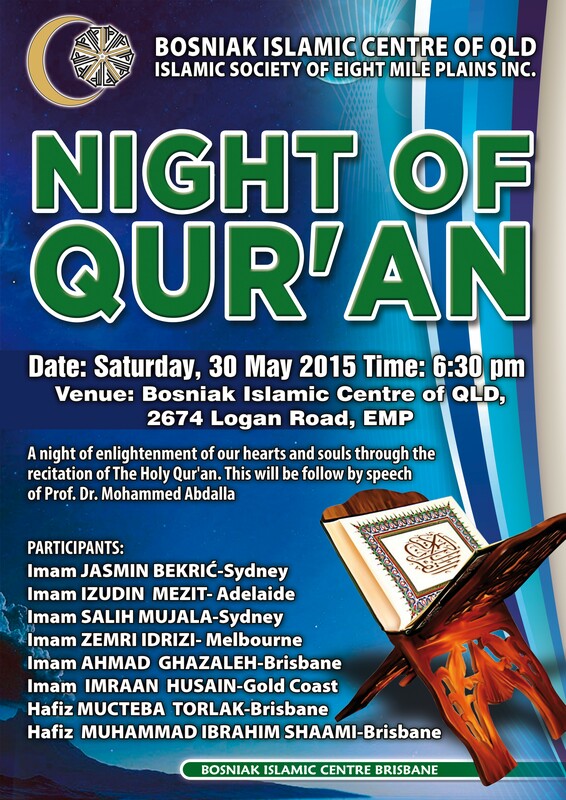 It commences at 6pm on Saturday 11th April at the Queensland Multicultural Centre, 102 Main Road, Kangaroo Point. 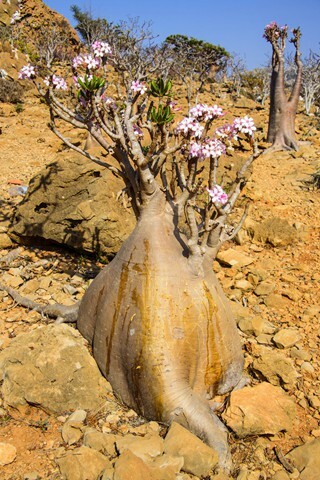 Click on thumbnail image for details of Giraffada. Activist Ayaan Hirsi Ali has been extremely vocal in her critique of Islam. In her new book, Heretic: Why Islam Needs a Reformation Now, she details her issues with its teachings and even declares "Islam is not a religion of peace." A panel of Muslim women discussed Hirsi Ali's stance in a HuffPost Live conversation. 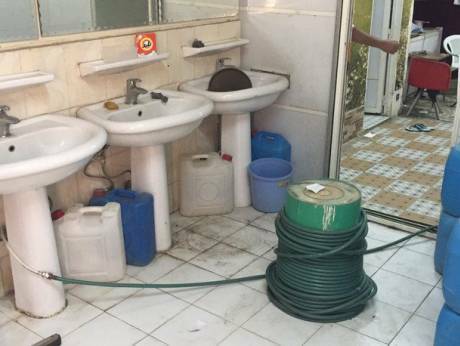 Manama: Police in the Saudi city of Makkah have busted a factory used to bottle and market regular tap water as having been taken from the Zamzam well inside the Grand Mosque, Islam�s holiest place. The factory in the Khalidiya neighbourhood in the city was raided following an extensive investigation launched by the police following complaints by a visitor who discovered that all the Zamzam bottles he had purchased in Makkah from street vendors were fake. The complaint was conveyed to the police in Makkah who worked on gathering information to lead them to the factory where the bottles were given the special stickers and filled with regular tap water. During the raid, the police arrested three Asians and one Arab who filled 600 bottles with tap water and non-drinkable water and readied them to be sold as Zamzam water. The police also seized 16,000 boxes the cheaters planned to use for the water bottles. Muslims in Makkah are keen on drinking and using Zamzam water and on taking bottles home to families and friends. The strong demand for Zamzam water has resulted in attempts to market fraudulent water bottles. Visitors are often warned to avoid buying Zamzam water bottles from street vendors and unlicenced shops in order to avoid the risks of being cheated. In January, the Ministry of Haj said that operators should not promote the purchase of alleged Zamzam water bottles from unlicenced vendors to avoid frauds. 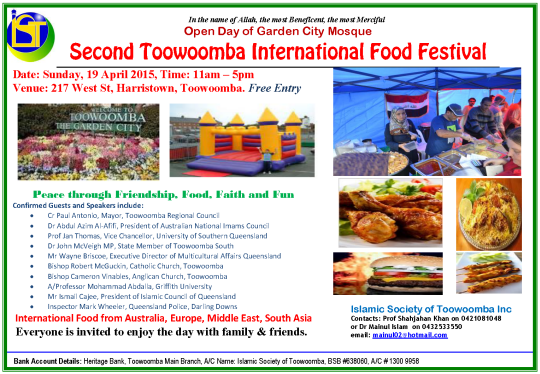 30 MARCH 2015: ONLY time will tell what will become of an anti-Islamic rally proposed for Toowoomba this weekend. The event, which is part of the nation-wide Reclaim Australia campaign, was due to be held in Laurel Bank Park on Easter Saturday alongside rallies in capital cities and regional centres across the country. While various organisers across Australia have spoken openly about the rallies, attempts to track down the Toowoomba campaigners led to multiple dead ends. One source, who wished to remain anonymous after receiving threats from the group, told The Chronicle many of the Toowoomba rally's organisers and participants had fake accounts. He said the rally had been cancelled and restarted multiple times with each new change in administration. One post said it was cancelled due to the group not having council or police permits while another said approval had been given. "They lied to people about having police approval. They never had it." 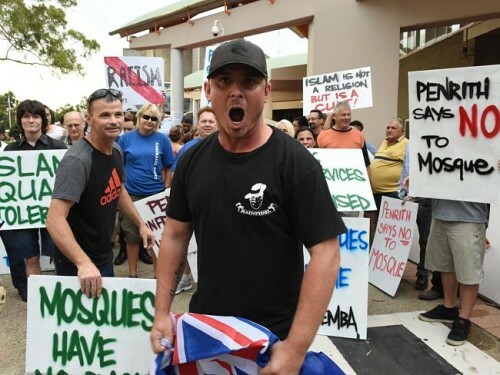 The source said that although the rallies were being administrated by different people around Australia, the business name was registered under the name of Shermon Burgess, known on Facebook as the great Aussie patriot and also a known member of the Australian Defence League. The ADL is a far-right Australian group which incites its followers to violence and has escalated a vicious hate campaign against Australian Muslims. "I call these rallies a wolf in sheep clothing. Yes, these rallies may not be racist in the way that the dictionary explains that word, but they are definitely bigotry and are endorsed by racists organizations. just because people have found away around the word racist doesn't mean its right to do." 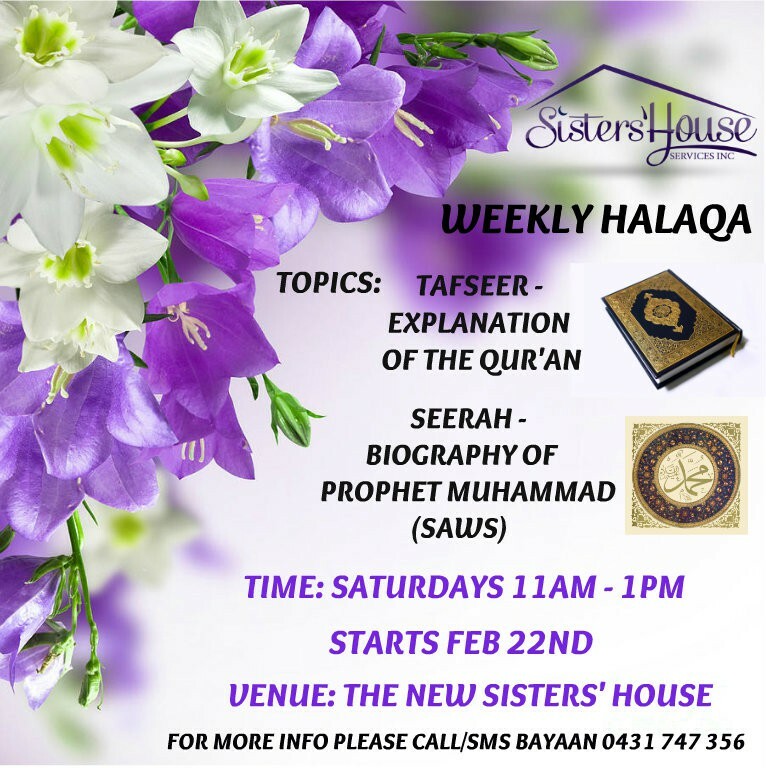 Islamic Society of Toowoomba founding president Professor Shahjahan Khan was also confused about the state of the Toowoomba event, more so after one of the organisers approached him at the mosque a few weeks ago. 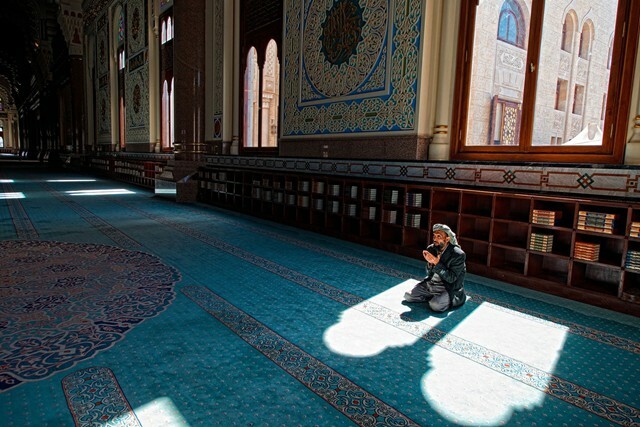 "He wanted to talk to me as he had problems with Islam. We talked and I answered his questions and the last I heard he had pulled out of the rally. "Toowoomba is trying hard to be a model city of peace and harmony and this kind of event doesn't help to reflect that kind of identity. "If anybody has issues, you're welcome to talk to us like that person who came to see me. We can talk openly and frankly." The Chronicle's reader poll asks the question: Is the Reclaim Australia rally promoting racism? Anti-Muslim protests led by the "Protect Penrith" campaign are attracting nasty extremist groups to the area. The newly-formed neo-Nazi organisation, Squadron 88, is trying to exploit the situation and broaden its appeal to the far-right by expanding its anti-Semitic hate to Muslims. Richard Jackson investigates. A small group of vocal locals called the Protect Penrith Action Group, and far-right political parties with no connection to the Penrith area at all such as the Party for Freedom and Australia First Party, have protested against the construction of an Islamic prayer hall at Kemps Creek. The issue has become a magnet for political extremists across the spectrum, many who are using the opportunity to push their divisive ideological agendas. 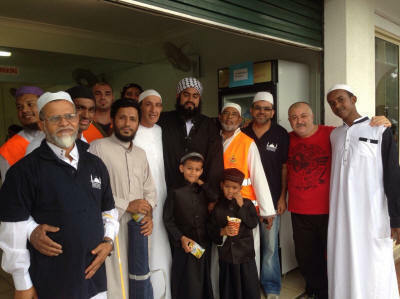 Abbas Raza Alvi, secretary of the Muhammadi Welfare Association that has had its community hall at Kemps Creek approved by council, told The Point Magazine that many attending protests were from "highly racist groups" that had no connection with Penrith whatsoever. One such group is the newly-formed Squadron 88, whose most high-profile moment had previously been distributing anti-Semitic leaflets in Bondi in August last year. This neo-Nazi group appears to be diversifying its hate agenda into the field of Islamophobia in order to gain some far-right traction. It was last Saturday and my family were super excited. No, not because we had to vote � that was rather tedious � we were excited because we were going to take my mother to see Les Miserables. My mother used to tell us that one of her favourite childhood memories was reading books like Victor Hugo's Les Miserables back in her home town of Damascus, Syria. My mother has had a hard time of late. She's a full-time carer for my grandmother who suffers from dementia and she can't leave the house for more than half an hour at a time. It has also taken a physical toll on her health � my mother has suffered from Bell's Palsy and was even unable to see properly for six months as a result of her eye muscles weakening, all due to the stress of being a full-time carer. The point is my mother never goes out. She's the most selfless human I've ever met. Taking her out to the theatre was a big deal. A really big deal. The day went splendidly. We thoroughly enjoyed Les Miserables and enjoyed a late lunch at a Thai restaurant. As we were walking back to my sister's car � which was parked on the roof of the Secure carpark (on the corner of Castlereagh and Goulburn streets in Sydney's CBD) � we noticed three young men with English accents yelling at us. They were in the apartment complex near the car park and standing at the balcony looking down at us. I realised these guys were insane and determined to hurt us. If whatever they were throwing could damage a car, what would it do to us if it landed on our heads? As we got closer to the car, we could hear what they were yelling: "F------ Pakis, you f------ Pakis, get out of here." They decided to continue with a rather charming chant of "f--- f--- Pakis" over and over again. My sister and I decided to dance to their chant, showing them that their racism didn't really bother us. It didn't, you see, we're kind of used to being yelled at, unfortunately. It has become par for the course if you are visibly Muslim. Also, it is important to note, we are not Pakistani � they couldn't even get their racism right. As my sister headed into her brand new car, I spotted a hard boiled egg land to the right of us. It was a painted egg, similar to the ones my Greek friends used to give me at Easter time. I saw one of the guys throw another one, this time headed straight for me. I quickly dived behind the car. My sister was yelling at me, urging me to get into the car but I was determined to take a photo of these men. Then they threw something else that landed on the car parked next to ours. Parts of the car flew off and glass shattered on the ground. I was gobsmacked. I realised these guys were insane and determined to hurt us. If whatever they were throwing could damage a car, what would it do to us if it landed on our heads? I spotted a man standing on the balcony above who witnessed the event and yelled at him to call the police and to do something to help but he just stood there staring. Maybe he did call the police, I don't know. My sister begged me to jump in the car and I finally did. I was sad that I did not have time to take a photo of the men but I memorised the apartment they were in and the number plate of the car that was smashed. If only they understood that behind every face is an incredible story, that we are not defined by a piece of fabric. The reason why I was determined to take the photo was because several years ago on my way to work I was assaulted by a man who attacked me from behind. He put his legs in between mine to force me down and called me a "f------ terrorist". He was incredibly scary and I remember many people had witnessed the incident but stood there and did nothing. They call this the "bystander effect". Not one person asked me if I was okay or needed help afterwards. When we spoke to the police, they said nothing could be done because there was no CCTV footage and no way to identify the man. I remember crying non-stop, not just saddened that I was attacked by a bigot but also upset that, as a woman, I was physically overpowered by a man just because I dress differently. As a volunteer with the Islamophobia Register Australia, I typed up a lot of the incident reports, reading case after case of abuse of members of the Muslim community. One of the things I noticed was most of the abuse was directed at Muslim women by men. Another thing worth noting was that many victims did not believe the police would be able to do anything and many didn't think there were laws to protect them. I called the police right after the car park attack and the lady at the call centre was extremely sympathetic and very helpful. She told me the police would visit my house that night to get a statement. The police asked me a few questions but they were not particularly interested in the fact that we were victims of a racially motivated assault. They seemed to be more concerned about the damaged vehicle and told me they will use me "as a witness to the incident of the car being damaged". I was a little shocked. What about me? What about the fact that we were nearly injured in this attack? They simply did not know how to handle that aspect of the case. They seemed to be more concerned about the car. I felt the police were ill equipped to handle cases involving religious vilification and were not sympathetic to my plight. On the way home that day, my mother cried in the car. She blamed herself, she felt she should not have taken the day off and that this was the universe telling her she needed to be looking after her mother. I was devastated. If only these racists knew what they had done. If only they understood that behind every face is an incredible story, that we are not defined by a piece of fabric. Our day was tainted by these inconsiderate morons. And once again, they will probably get away with it, while we have to live with the scars of their stupidity. Gala dinner events were held in three cities of Australia last month to award Muslim high achievers who completed Year 12 at the end of 2014 academic year. 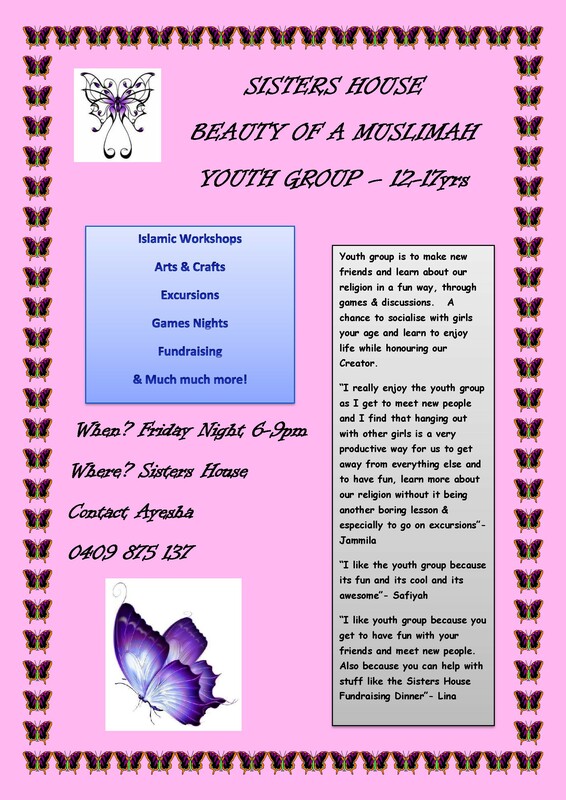 The events held in Sydney on Friday 20 March, in Adelaide on Saturday 21 March and in Melbourne on Sunday 22 March were attended by invited students and their parents as well as community leaders, teachers and politicians. The selection criteria was based so as to award students who achieved an Australian Tertiary Admission Rank, ATAR of 90 or more during the final Year 12 exam in 2014. The 106 students who registered were awarded with a certificate and a gift of tablet notebook computer. 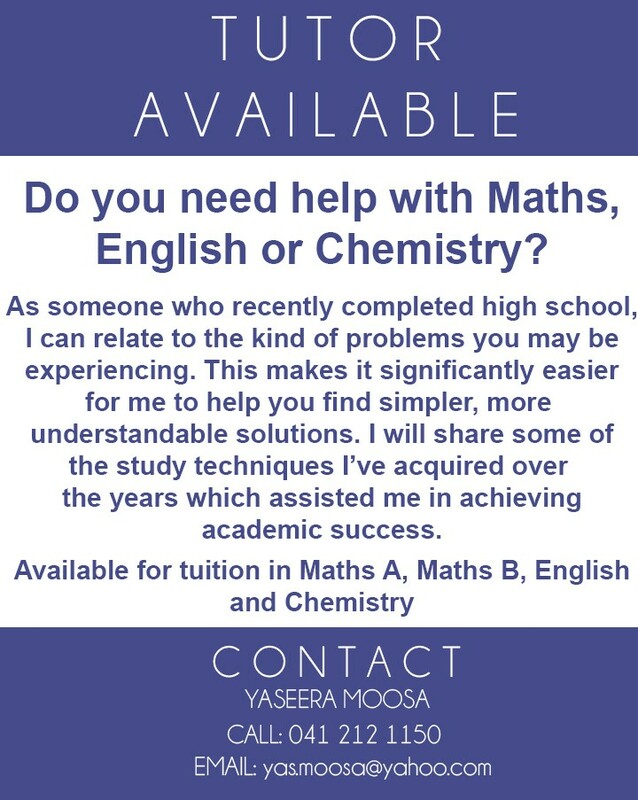 There were a large number of awarded students who achieved an ATAR in the nineties and more than a dozen who obtained ATAR�s above 99. 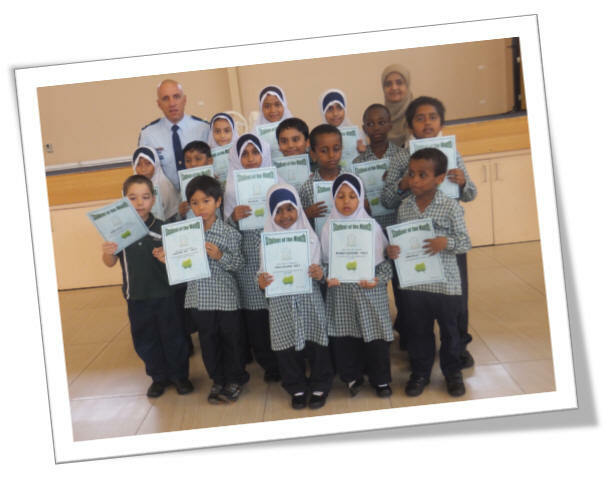 The Annual Year 12 Muslim Achievement Awards are organized by Human Appeal International, a humanitarian aid organization with offices based in Sydney, Melbourne and Adelaide. HAI has been organizing such events in Melbourne for the last 7 years and it was the first time that they decided to expand the programme to include Sydney and Adelaide. With �Reclaim Australia� rallies planned for 16 cities and regional centres this Saturday, Christian Pastor and Welcome to Australia CEO Brad Chilcott is urging Australians to reconsider their involvement and, in partnership with members of the Muslim community, planning to present a positive counter-message during the events in Adelaide. �While I am glad to see that Reclaim Australia is committed to nonviolent protest, I am also convinced that there is no such thing as nonviolent prejudice,� says Pastor Chilcott. "There's no such thing as family-friendly bigotry." 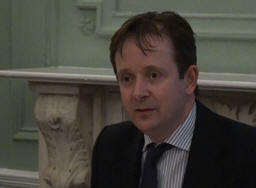 �Prejudice, no matter who it is directed towards, damages individuals and communities,� he says. "I would say to those considering joining these marches that you will not make Australia safer, you will not make our communities healthier and you will not make our future brighter." There's no such thing as family-friendly bigotry. 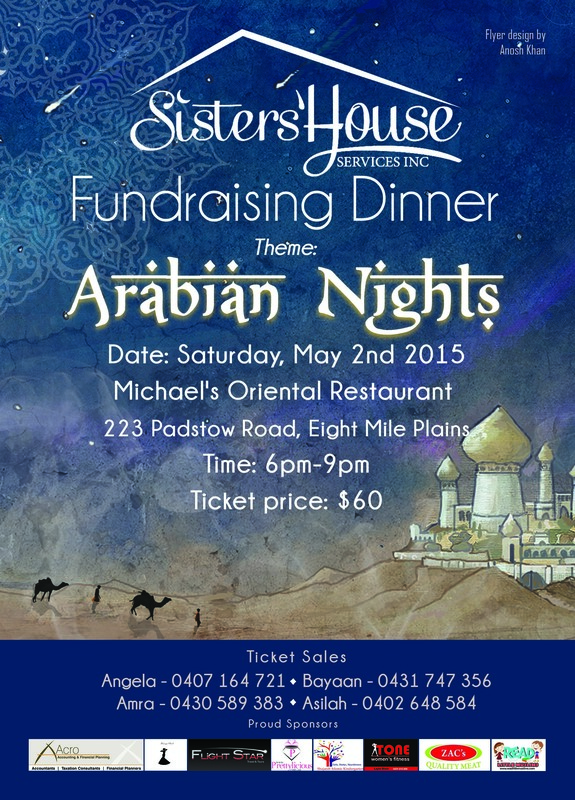 Mohammad Al-Khafaji is a Welcome to Australia volunteer and member of the Muslim community in South Australia. He says, "The only people that can rightly hold a "Reclaim Australia" event are the people of its First Nations." 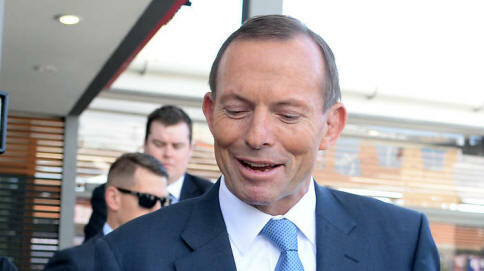 "Who are these people reclaiming Australia from? 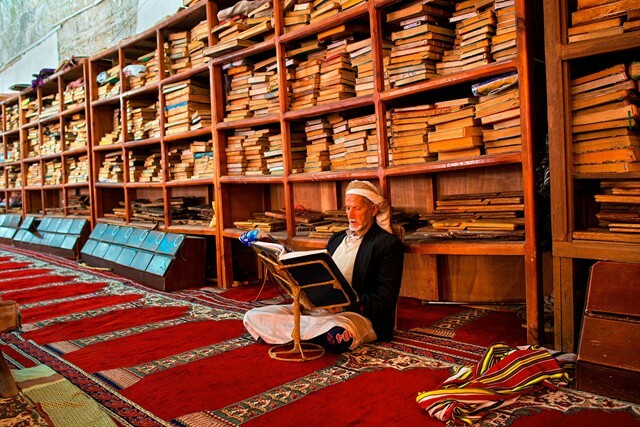 Muslims have been here since the 1800s and only make up 2.2 per cent of the population. It's sad that bigotry is making headlines in Australia. I'm a proud Australian citizen - and a Muslim - and I want Australia to be for all Australians, no matter where you come from or what you believe in." Pastor Brad Chilcott says, �Family-friendly bigotry is at least as damaging � if not more so � than the overtly violent and offensive variety. It seeks to normalise prejudice and teaches younger generations that excluding certain groups of people from society is ok."
Welcome to Australia is urging those intending on participating in the Reclaim Australia marches to reconsider their involvement in this promotion of prejudice against the tens of thousands of people of Muslim faith that call Australia home. VICTORIA: Federal Education Minister Christopher Pyne has asked the principal of al-Taqwa College to explain why he told students that Islamic State was a Western plot. The move comes as a former teacher at the school said principal Omar Hallak (pictured above) also told students that Israel did not exist and Jews were horrible people. Mr Pyne condemned the principal's controversial statements on Wednesday and said he would write to al-Taqwa, which is the largest Islamic School in Victoria, seeking an explanation. Mr Pyne will also write to Victorian Education Minister James Merlino to ask what action the Education Department is taking. 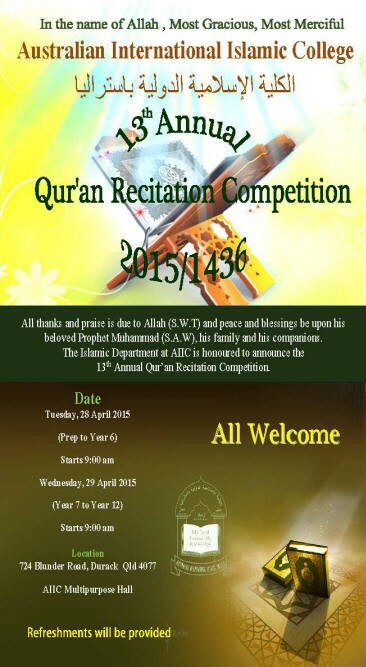 "The comments of the al-Taqwa College principal are wrong and damaging," he said. Ajit Somers taught at the school in 2001 and said Mr Hallak had "shockingly" anti-Semitic views. He said the principal came into his class and set an assignment in which students had to research a country of their choice. When the principal discovered one student had chosen Israel, he became furious, Mr Somers said. "He said there is no such thing as Israel and how dare you say Israel. He said Jews are horrible people." After Mr Hallak left the room, Mr Somers said he told students Israel existed and was a member of the United Nations. A number of former al-Taqwa teachers have raised concerns about the principal's views following revelations by Fairfax Media last week that he told students not to join Islamic State because it was a plot by Western countries. He then went on to say that he believed IS was a scheme by Israel and the US. 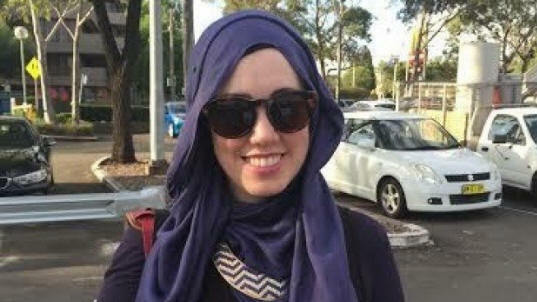 Another former teacher at the Truganina school in Melbourne's outer west, who did not want to be named, said teachers who were not Muslim were treated as "second-class citizens". The teacher said she was told off by the principal after she drew a star on a whiteboard to reward good work. "He said 'that is a Jew symbol. If you do it again I will kick you out'." Mr Hallak has been called to a meeting with state government officials to explain why he told students that IS was a plot by the West. State government officials will meet the college after the school holidays to "develop a program of cross-cultural understanding". 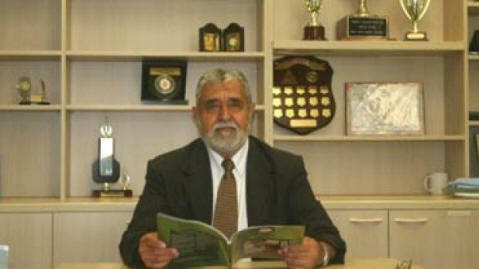 Mr Merlino said earlier this week that the principal's comments were "a real concern". "The comments made have no place in our schools and we look forward to working with the school community to address the issue." Mr Hallak did not respond to questions. The Truganina school received $11.2 million in federal government funding in 2013, and $4.7 million from the state government, according to the My School website. 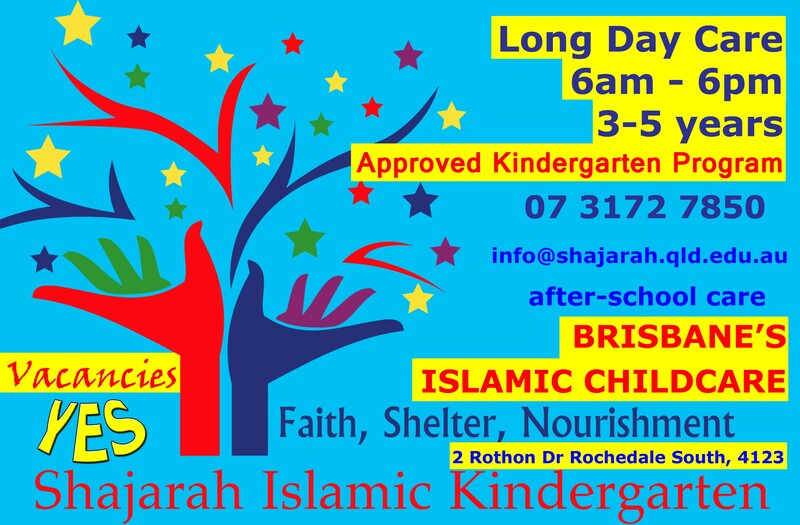 In 2005 The Sunday Age reported that a visiting imam told al-Taqwa students that Jews were putting poison in bananas and they should not eat them. 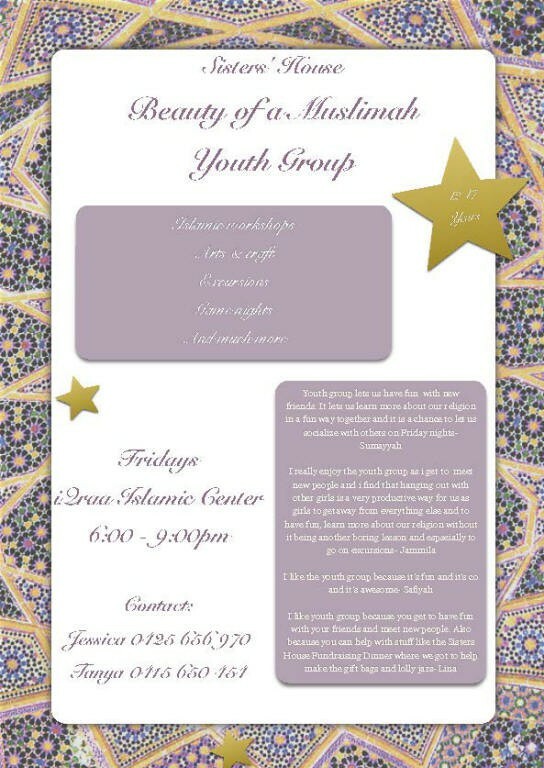 TOPIC: "Looking inward and moving forward"
Assalamu alaikum warahamatullah - peace be upon you. 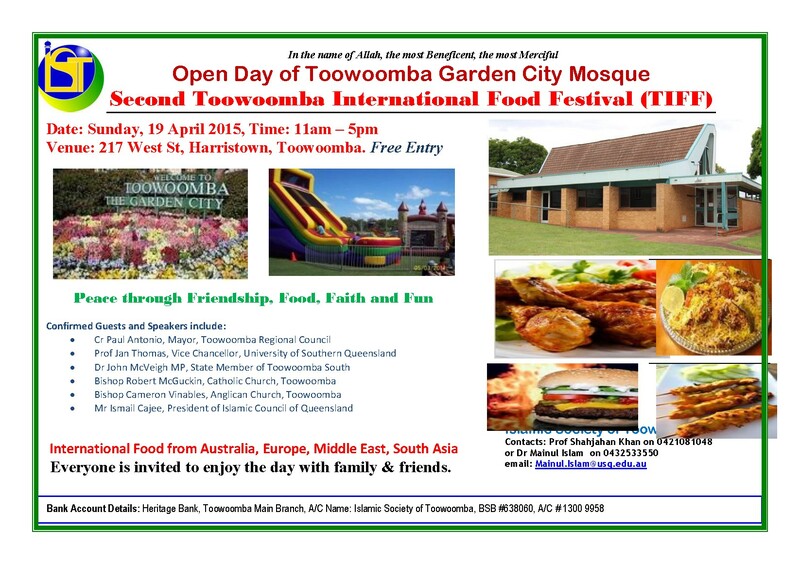 The Garden City Mosque in Toowoomba is pleased to invite you and your family/friends to join its Open Day and International Food Festival from 11am-5pm on Sunday, 19 April 2015 at the Toowoomba Mosque premises at 217 West St, Harristown. 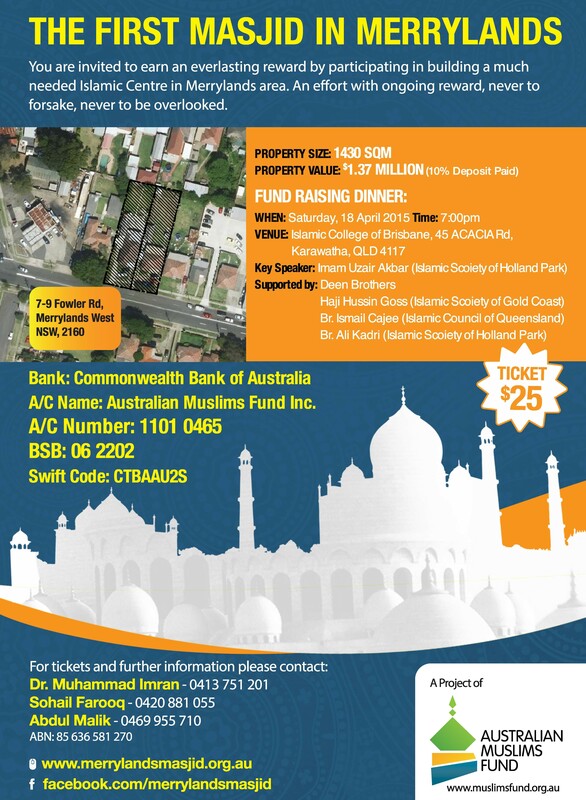 This event is particularly important in view of the recent arson attack on the Mosque property. 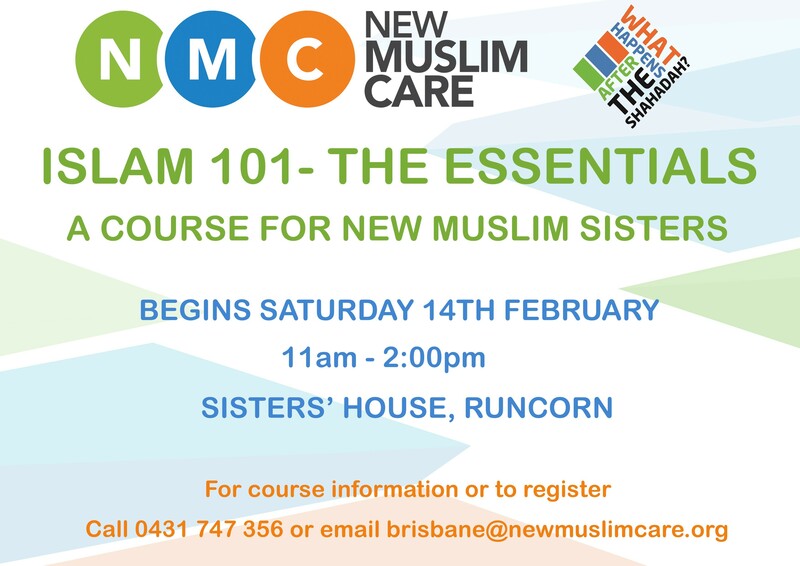 Please join rest of the community to express your solidarity to your fellow Muslims residing in the peaceful city of Toowoomba. 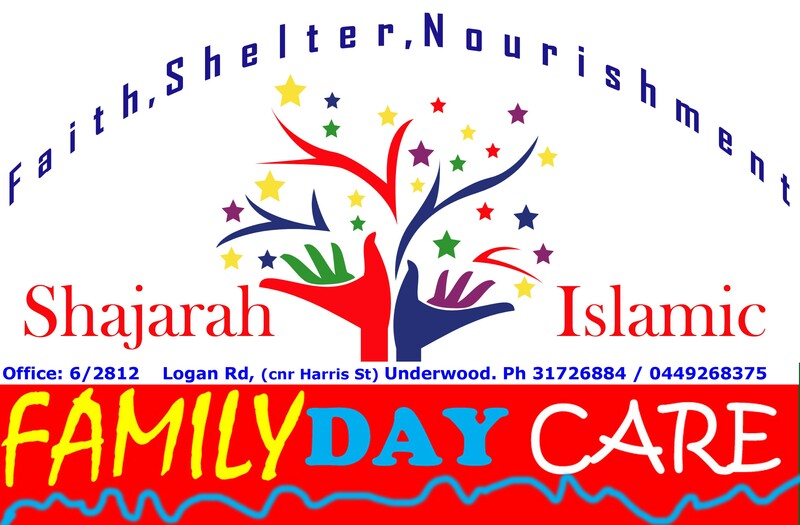 Apart from delicious international food, there will be separate activities for women and children. 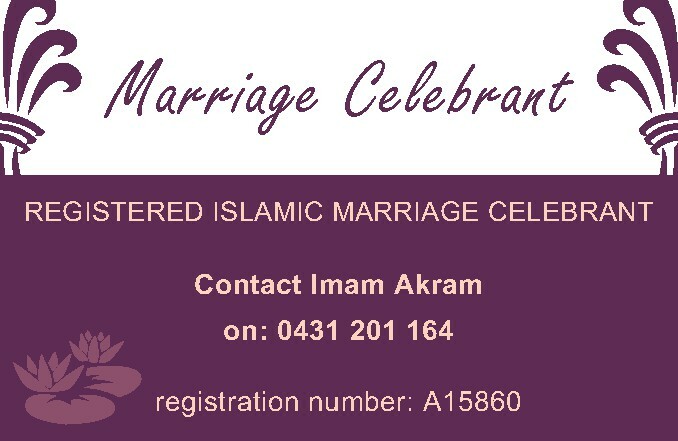 Looking forward to welcoming you on the day. 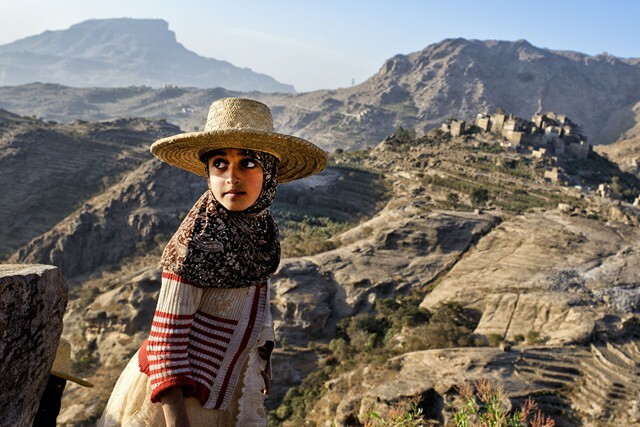 YEMEN: Yemen, the poorest country in the Middle East, came even closer to an all-out-war this week in a particularly complex conflict. 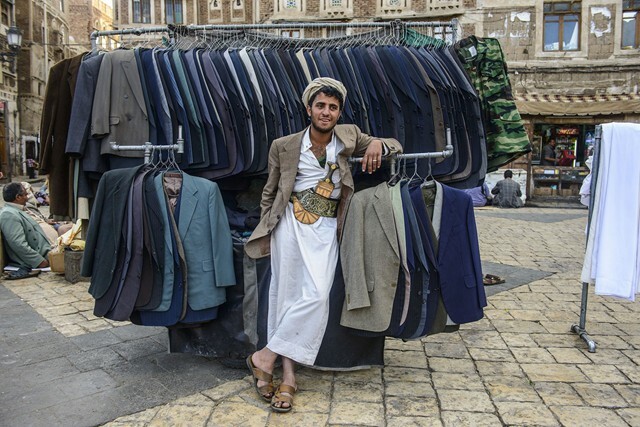 There are lots of complicated Yemeni rivalries at the heart of this conflict. 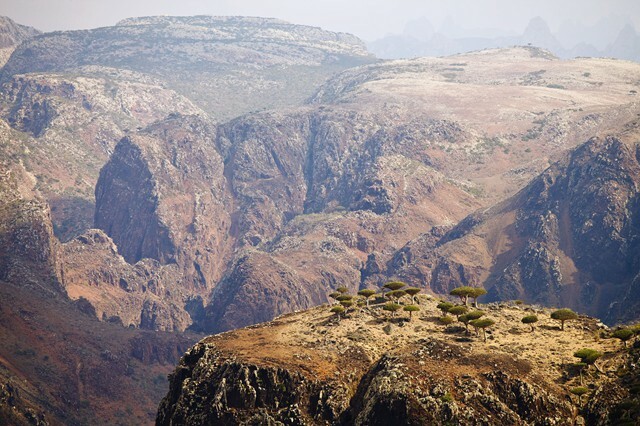 But, essentially, local rebels, known as Houthis, are fighting the president who recently fled to neighboring Saudi Arabia. And there are now fears that this local conflict could turn into more region-wide sectarian hostilities. 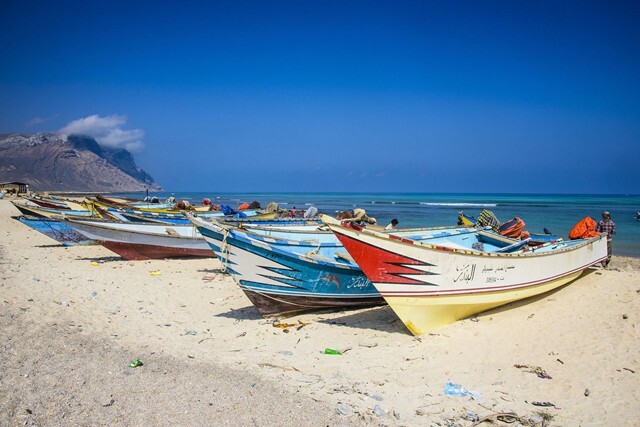 On Wednesday, Saudi Arabia began bombing rebel positions in support of Yemen's embattled president. Iran, a Shiite-dominated country and a chief rival of Sunni-dominated Saudi Arabia, reportedly supports the rebels. The United States, meanwhile, is supporting Saudi Arabia with logistics and military intelligence. 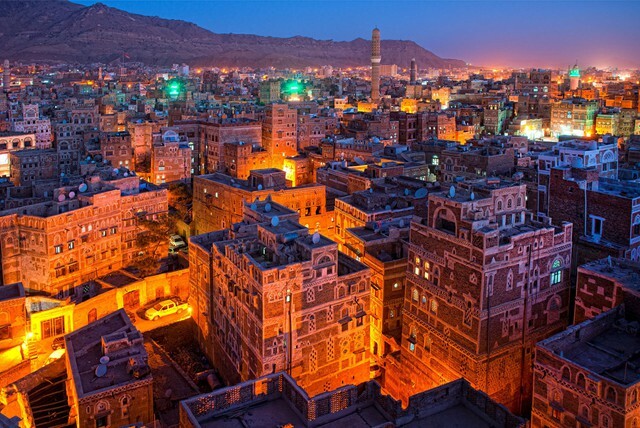 American officials have long argued that Yemen is home to one of al-Qaeda's most dangerous branches, al-Qaeda in the Arabian Peninsula. Amid all this talk of war and politics, it's easy to lose sight of the actual place � a breathtakingly beautiful country rich with history. 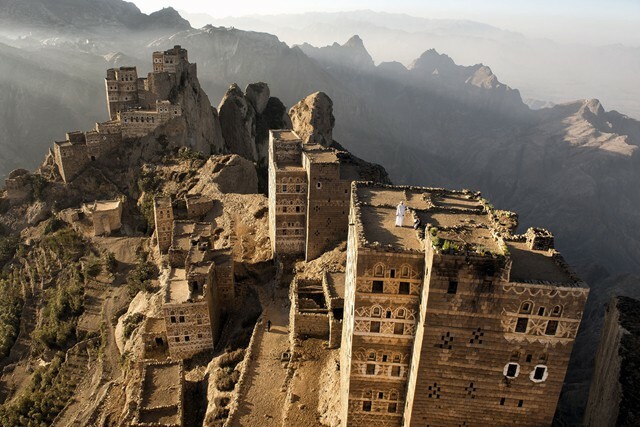 These are some images from Yemen, once described as the Happy Arabia. CHINA: A court in China has sentenced a man to six years in jail for �provoking trouble� and growing a beard. The court in the desert oasis city of Kashgar, which is in the mainly Muslim Xinjiang region, sentenced the 38-year-old man to six years in prison, while his wife was handed a two-year sentence. The couple were found guilty of �picking quarrels and provoking trouble�, a vague accusation regularly used in the Chinese judicial system. The man �had started growing his beard in 2010� while his wife �wore a veil hiding her face and a burqa�, the newspaper China Youth Daily, reported. For more than a year the authorities in Xinjiang have been campaigning against men growing beards � a practice officials associate with extremist ideas. 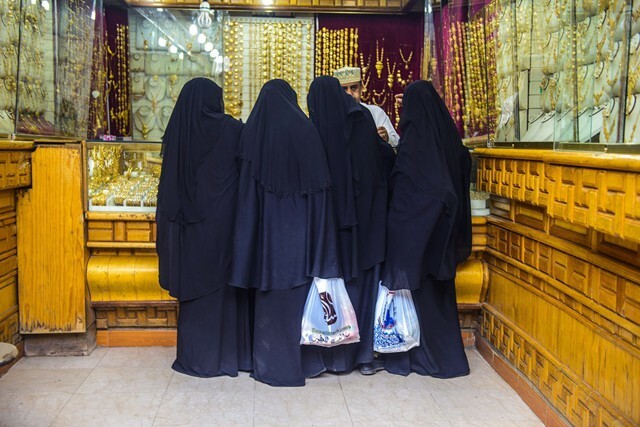 A campaign dubbed �Project Beauty� also encourages women to leave their heads bare and abandon wearing the veil, a relatively widespread practice among the Uighurs � the main Muslim ethnic group in Xinjiang. 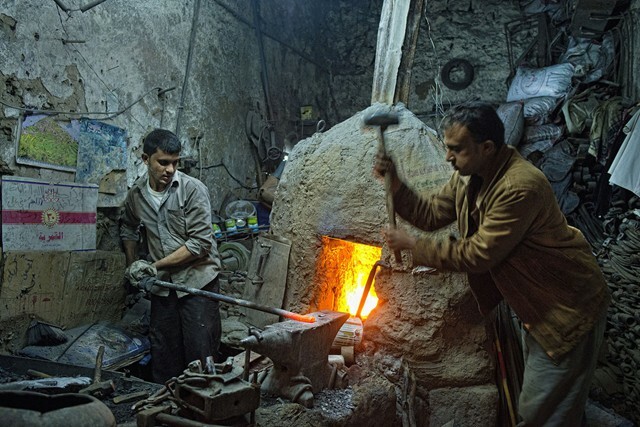 The Kashgar couple had �received several warnings� before being charged, according to local officials. Kashgar authorities have been unavailable for comment. Chris Doyle is the Director of Council for Arab British Understanding (CAABU), the UK�s foremost forum for Arab-British relations. He is acknowledged as the leading expert on the region and done considerable work to bring about a better appreciation of Arabs and Muslims in Britain. These include lobbying successfully for Palestinian statehood vote, labelling of settlement products, and speaking out against Islamophobia. Chris has organised over 50 Parliamentary delegations to the Arab World taking MPs from all parties including former and current Cabinet ministers. 16 of those MPs who spoke in the Parliamentary debate on statehood had been on Caabu delegations. He has also organised many major fundraising events for Palestinians. For his work, Chris won a Special Tribute award from the Arab Screen Independent Film Festival in 2001 for his work with the media. Feeling a little out of sorts and body plateau-ing? Find your �true north� with Yoga. It�s cleansing for the body from the inside out while toning, strengthening and becoming more flexible. 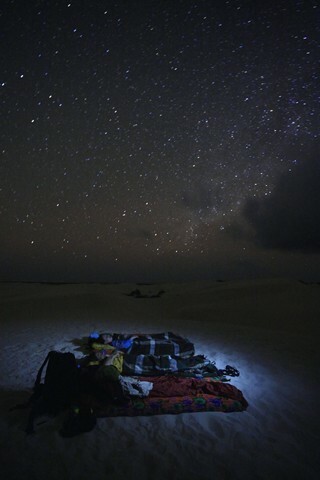 It�s great to clear your head and relieve stress as well. So why not get head to the gym or get yourself a Yoga DVD and enjoy a workout in the comfort of your home or hotel room if you�re heading away these holidays. 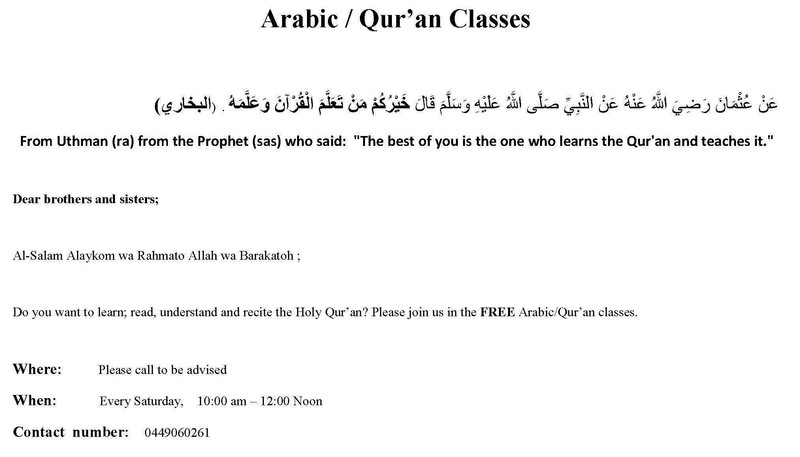 The aim of this publication is to inspire the reader with anecdotes from the life of Prophet Mohammed (pbuh). The book covers a range of social issues with brief chapters, making reading simple and easy. The book is also flavoured with extracts from Arabic poetry, providing loose translations, occasionally, and verbatim on other instances. 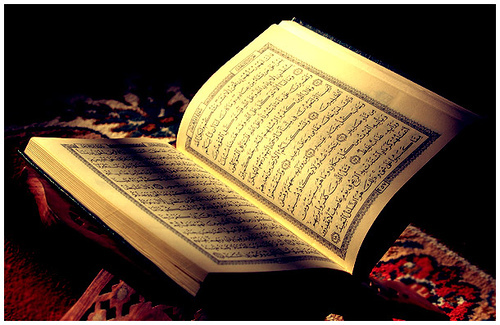 This publication will leave you mesmerized with the biography of the Prophet like never before. Tragically, we have failed on all three accounts. With the grace of Allāh, recently, in collaboration with Mathābah Publications, we have been able to adapt my audio lectures into book format, which soon after resulted in my first book, �The Sun That Never Set�. The intention was to continue this meagre effort to bring more titles to the fore; hence the book you hold in your hands is a sequel to that. The aim of this humble publication is to [hopefully] inspire the reader with anecdotes from the life of Muhammed (pbuh)ﷺ. 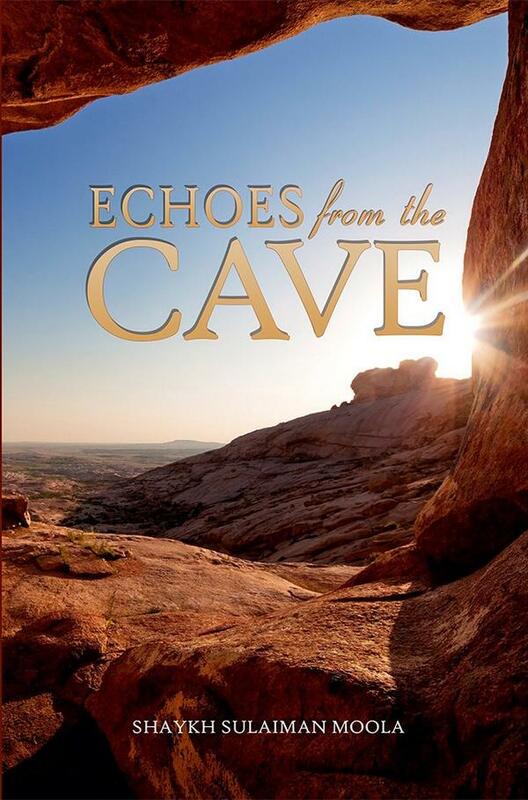 The book covers a range of social issues with brief chapters, making reading simple and easy. I have also flavoured the book with extracts from Arabic poetry, providing loose translations, occasionally, and verbatim on other instances. 1. Beat eggs till fluffy. 2. Gradually beat in sugar. 3. Add oil and beat for approx7 seconds till just combined. 4. 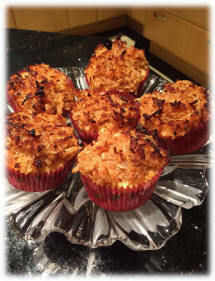 Sift dry ingredients and fold into egg mixture alternating with coconut milk. 5. Spoon mixture into cupcake pan. 6. Bake at 170 for about 15mins until very light brown. 1. Heat all the above ingredients and cook till most of the liquid has evaporated. 2. Mixture will remain sticky. 3. Spoon an equal amount of the topping onto the cupcakes. 4. Put oven on fan grill and place cupcakes in oven for the topping to slightly toast. Remove from the oven when the topping is slightly brown. Please note that the topping can brown very quickly so you may need to check the oven regularly. At a family wedding, Mula Nasruddin's wife asked her husband: "Dear, you are so wise and knowledgeable about everything, tell me, in a way that I can understand, why at all the weddings we have been to, the bride always sits on the left side and the groom on the right?" Mula Nasruddin, remembering his wife did his business bookkeeping, said: "My dear, you should know only too well that on a profit and loss statement all income is on the right side and all expenses go on left." The Evil One threatens you with poverty and bids you to conduct unseemly. Allah promises you His forgiveness and bounties. And Allah cares for all and He knows all things.